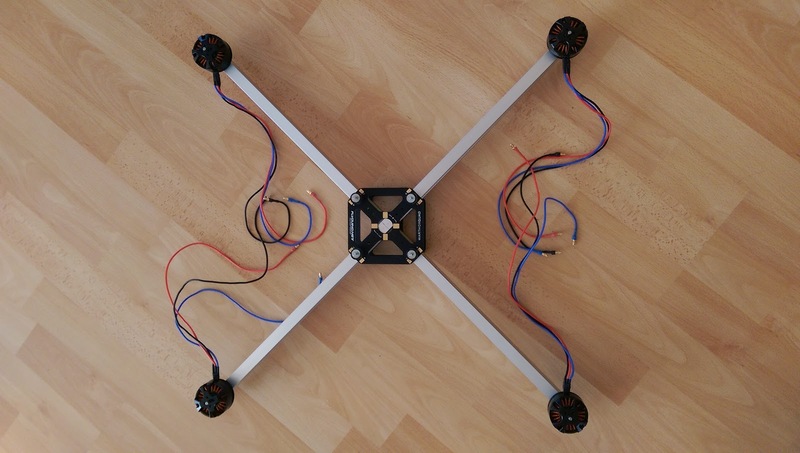 Already a long time ago the idea was born to build a quadcopter completely from scratch. 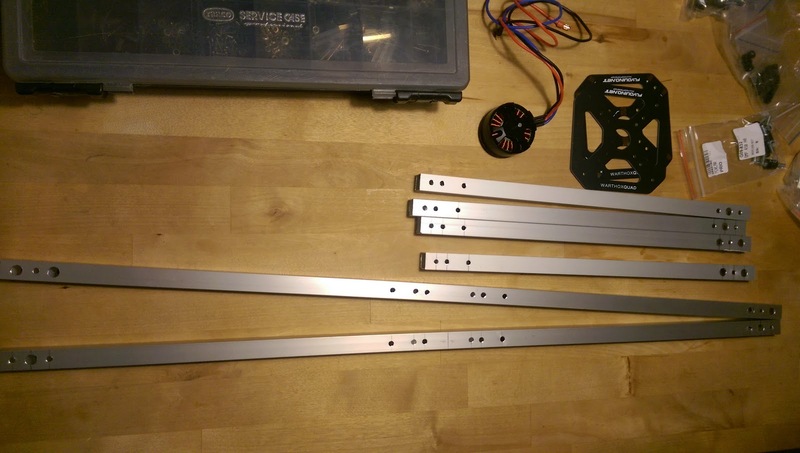 During the past days i started with the frame construction. 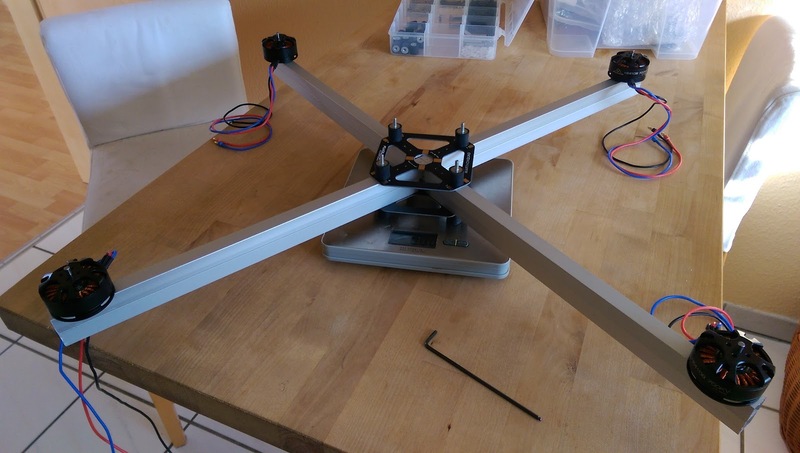 selfmade frame of 15mm Aluminium rod / 70cm frame diameter. 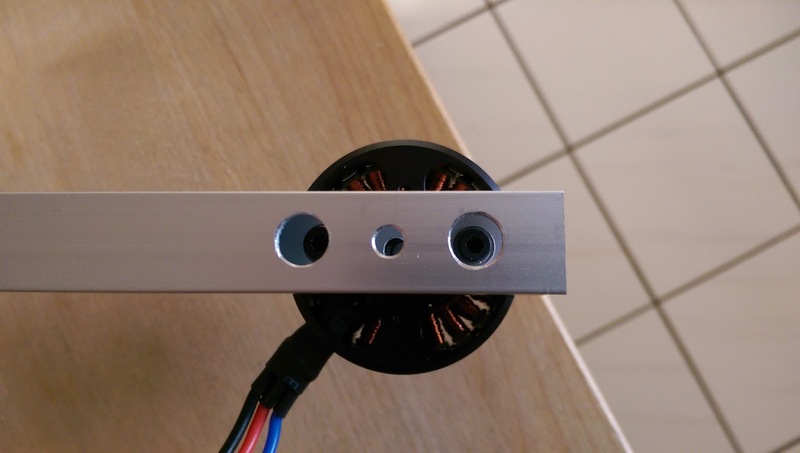 rubber damper between frame and electronic (M4 screw thread). 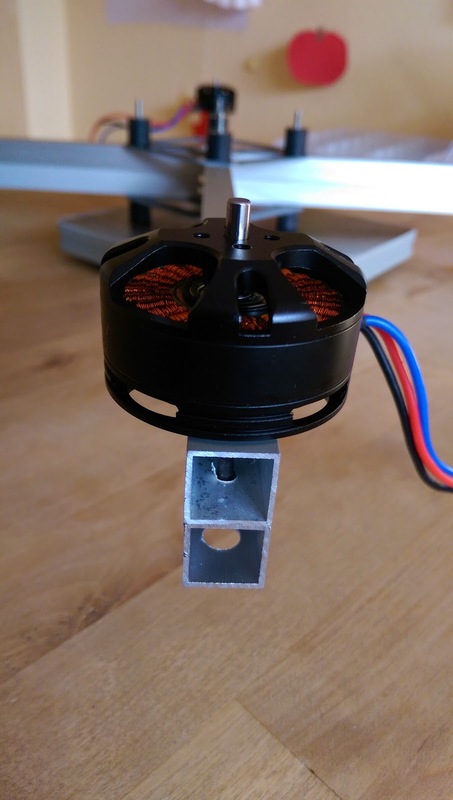 Flyduino HE4108 700KV Brushless Outrunner Motor with ~13" props. Dys 40A Multikopter ESC Opto "SimonK" V2. depending on the power consumption i will decide on a battery later. 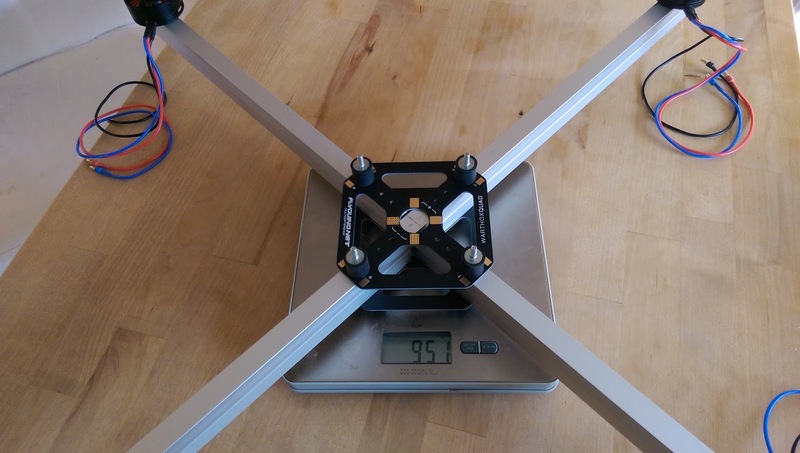 After seeing the following video i decided to stack two frames as well to get more stability. I hope i could fly one day this way as well. But this will be a long way to go. Especially for me as a weekend only pilot.